Are you aware that you lose around 100 hair strands a day? This is part of your hair’s natural cycle but you also grow back new hair to replace what you’ve shed. However, if this natural cycle is disrupted, you may begin to see some signs of hair thinning, hair loss, or a receding hairline. While these hair problems are quite common to everyone, regardless of gender or genetics, some of the things you do may make your hair thinner. Additionally, you might not be aware that you’re causing any damage. 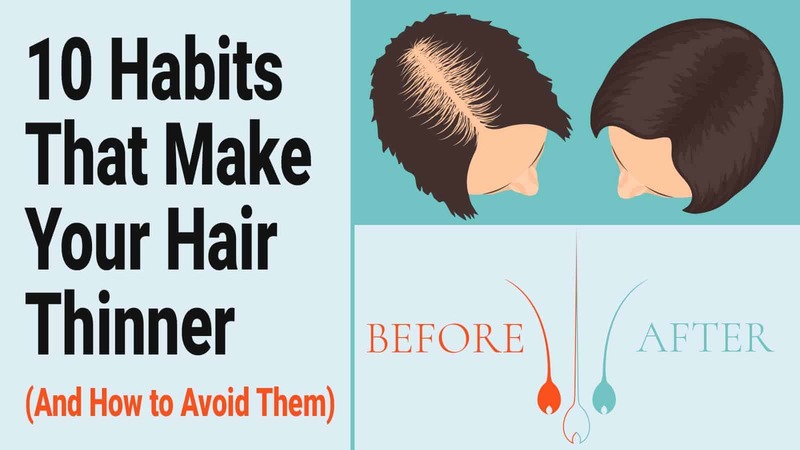 Below are some habits that may contribute to your hair problems. There are too many misconceptions about how often you need to wash your hair. Some argue that you should not do it frequently because it will lead to hair damage. Others disagree on this because shampooing helps to keep the scalp healthy. But trichologist Anabel Kingsley, who is the daughter of the late hair expert for celebrities, Philip Kingsley, stated that you ideally need to shampoo your hair every day or every few days, depending on your hair type. She compared shampooing to having a good skincare regimen for your facial skin, which you also need to do every day. Like the skin, the scalp has sweat glands or sebaceous glands that secrete and produce the sebum or oil. This is what keeps the hair from drying out. It is what nourishes the hair follicles on the roots. However, the sebum may mix with other pollutants that penetrate your hair, thus causing a build-up that affects its form, appearance, and quality. Fine Hair – People with fine hair have more hair per follicle, so it can easily get greasy at the end of the day. You likely have to get rid of this grease by shampooing daily. Coarse Hair – People with coarse hair, on the other hand, should not go without shampooing for more than three days. Meanwhile, according to Cleveland Clinic dermatologist Dr. Melissa Piliang, when you don’t wash your hair every one-to-three days, then the build-up on the scalp will lead to seborrheic dermatitis (dandruff) and inflammation. These can contribute to itching, scratching, and hair breakage. It may also lead to slow hair growth and thinning hair. But if you shampoo too often when your hair type is not fit for this, you may risk turning your hair brittle and dry. If your hair becomes fragile, you will also have hair breakage that can make your hair thinner. Use a conditioner to prevent hair damage if your hair is becoming dry. Kingsley does not advise using a hairbrush because the hair can easily get caught in between the bristles and tangle up. Instead, she recommends a wide-tooth comb for grooming your hair so that there will be less hair pulling and hair loss. You also need to use gentle strokes to detangle your hair and not vigorously brush or comb it. Hair expert Kingsley also doesn’t believe in the myth that you must brush or comb your hair for 100 strokes a day to keep it shiny. Grooming your hair works to untangle and smooth its surface. If it’s smooth, the light will reflect better; that is why it looks shiny. You still get this positive effect if you comb or brush your hair with less than 100 strokes. What is more, you won’t make your hair thinner by over-brushing. How long has it been since your last hair trim? Experts say that you need to get this done at least every two months to facilitate a healthy hair growth. Some people do away with hair trimming because they want to maintain the length of their hair. The thing is, broken and damaged hair won’t grow out unless you get a trim. Usually, hair damage is concentrated on the edges so you really have to cut the ends. You can get a quarter-inch cut and still keep the approximate length but your hair will still benefit from the trim. The tools you use to style your hair – such as flat irons, curling irons, and hair dryers – can cause hair breakage. These can weaken the scalp and the fibers on the hair shaft. It can also dry out the cuticles of the hair’s outer layer, making your hair thinner. The experts do not recommend the daily use of these styling tools as damage may go beyond the possibility of repair. You should let your hair naturally dry after washing. Use flat or curling irons for special events only. Also, try to look for other ways to style your hair every day without using any heat. If you really need to use a dryer, experts in a study on the Annals of Dermatology suggested a distance of 15 cm. The dryer must also not be affixed on one spot. Bleaching accelerates the damage on the hair cuticles because the chemicals in bleaching agents make the fibers thinner. Thus, your hair easily breaks when you bleach too often. It will also make your crowning glory less appealing because the bleach will cause dryness and dullness. Affecting more than your hair’s appearance, bleaching agents may also lead to scalp burns. Experts say that if you’re fond of coloring your hair, you must never do it on your own. It has to be done by a professional hairdresser. You should also ask for a hair lift product that’s less harmless than bleach. There is no shortage of hair products in the market, which means that a lot of people are buying and using these to style and improve their appearance. But hair products are formulated differently and won’t work for all types of hair. Some products might be popular and sell well while containing ingredients that cause dryness and brittleness which lead to thinning hair. So, be sure to read the label of hair products you buy. Use the ones that won’t cause damage. If possible, opt for natural or organic alternatives. These have fewer chemicals and are, therefore, a lot more gentle on your hair. Tying your hair too tight is bad for your hair’s health. When you’re constantly pulling the strands together for a ponytail or a bun, you’re bringing tension to the hair follicles. As a result, your hairline will scar and thin out over time. You need to let your hair loose as much as possible to allow the roots to breathe. Also, avoid tying your hair for too long. If you need to keep it tied, for instance when you’re working out, only use a soft scrunchy or a hair-friendly clip to prevent hair damage. You should never tie your hair when it’s wet because wet hair can easily break. The same positive and healthy diets you follow to ensure the health of your vital organs will also benefit your hair. Like the heart, liver, or kidneys, your hair also needs nourishments. 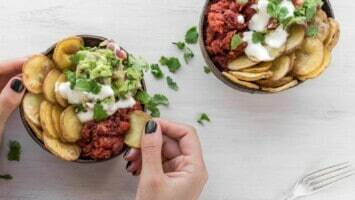 Consuming protein, vitamins, iron, zinc will help your hair grow and stay healthy. Chicken meat, eggs, and chickpeas (beans) are especially vital to hair because they are rich in protein, the building block of nutrients. If you’re lacking in protein, your body won’t be able to replace the hair that falls or sheds every day. A number of studies have shown that there is a direct relation to stress and hair follicles. Your body produces more stress hormones called cortisol when distressed. These stress hormones weaken the composition of your hair. If you’re not managing your stress well and your body’s cortisol level is constantly high, you impair the functions of the adrenal glands from regenerating, repairing, and healing. Your stress will also trigger the glands to work harder, thus causing adrenal fatigue. Stress cannot be completely avoided because there will always be challenges in life. Hence, it’s important that you adopt activities that will give you stress relief, as well as adapt good habits. You need to give up smoking and drinking. These bring toxic chemicals into your body that may increase your cortisol levels. Ramp up your exercise routines since a good workout can lower your stress hormones. Indulge in a hobby that will keep your mind off the stuff that worries you. Also, ensure that you’re getting plenty of quality sleep. You might need to add supplements to your diet to help your body produce the right levels of hormones. It’s not too late to do something about thinning hair when you start to notice it happening to you. You can reverse the condition by making positive changes to your habits and lifestyle. Even if you have changed some habits and don’t notice any improvements, it might help to get yourself checked for any underlying medical cause. 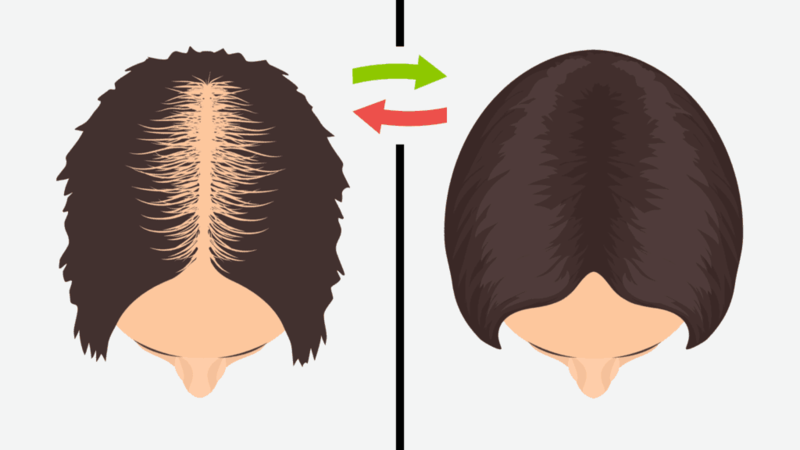 In some cases, hair thinning may be a symptom of an immunity disorder, a hormonal disorder, or a medical condition. If you get a proper diagnosis, you will be able to treat and better manage your thinning hair.